Let's Do It for ME! : Professor Jonathan Edwards to Advise IIME on Rituximab Study! Professor Jonathan Edwards to Advise IIME on Rituximab Study! 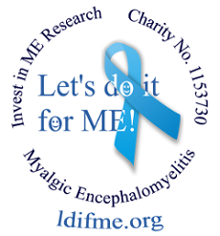 Invest in ME have been working on the possibilities of initiating a UK clinical trial using rituximab to treat ME patients following on from our Biomedical Research into ME Collaborative Meeting (BRMEC) on 30th May 2013 and the 8th Invest in ME conference IIMEC8) on 31st May 2013. At these meetings Professor Olav Mella and Dr Øystein Fluge presented further evidence of the efficacy of rituximab in the treatment of ME patients in Norway and it became clear that a similar trial is needed in the UK to benefit UK ME patients as well as provide support for the international efforts in finding treatments for ME. We are pleased to announce that Professor Jonathan Edwards, Emeritus Professor of Connective Tissue Medicine at University College London (UCL), has agreed to advise the charity on all aspects of a UK rituximab trial. Professor Edwards was responsible for both the phase I and the proof of concept phase II (NEJM 2004) studies in rheumatoid arthritis , which formally established the validity of B cell depletion in autoimmune disorders. It all started with a paper called ‘Do self-perpetuating B lymphocytes drive human autoimmune disease?’ published in Immunology in 1999 . There is no other expert in the UK who is better placed than Professor Edwards in advising the charity in setting up a rituximab trial to benefit ME patients. A plan is being formulated and Professor Edwards and the charity are involved in discussions to establish feasibility and suitable siting for the project. At our BRMEC and IIMEC8 conference meetings we discussed with the Norwegian researchers (Fluge and Mella) about cooperation on this and other projects and we will be setting up further meetings now that this plan is being progressed. A great deal of work necessarily needs to be made, not least of which will be a huge effort by the charity and its supporters to raise the funding. The charity has a number of pledges and offers of support and we will continue to develop more – raising the profile of this project and raising awareness of ME. Click here to see the above on Invest in ME website and all options to donate to this important clinical treatment trial. The Let's do it for ME team are really excited about this announcement and would like to congratulate Invest in ME on snagging the best man for the job! We are immensely grateful to Professor Edwards for his interest and help. Let's get this trial funded!